A kitchen in farmhouse style combines a lot of other styles such as cottage, old, rustic, classic. If you would like to have such an original decor at your place then you should now main rules if using it. Here are you may find very important and useful tips that will help you in the transformation. And do not forget to add your personality as well. Fresh flowers can decorate any style, not only a farmhouse. If you have started with a kitchen, then seasonal flowers are the necessity. Open shelves are the usual part of traditional farmhouse kitchens. This looks raw and you may display your dishes. 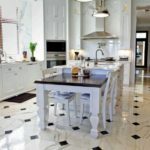 Hardwood floors work very well in farmhouse kitchens. It looks different than tile or marble and gives the beautiful and welcoming feel. If you have hardwood floor or beams, do not hide them. They can be the main detail of your décor. The antique clock could be placed on the wall or shelves, this details gives an old and antique spirit. 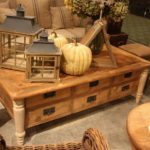 If you decorate a space in this style you must add a farmhouse table. This is a large table that all the family could gather together to have a supper. A vintage range will change your kitchen into an example of farmhouse style. This gives the look of old-age things. Farmhouse or apron-front sink also has an old look and is one of interesting farmhouse kitchen remodel ideas. 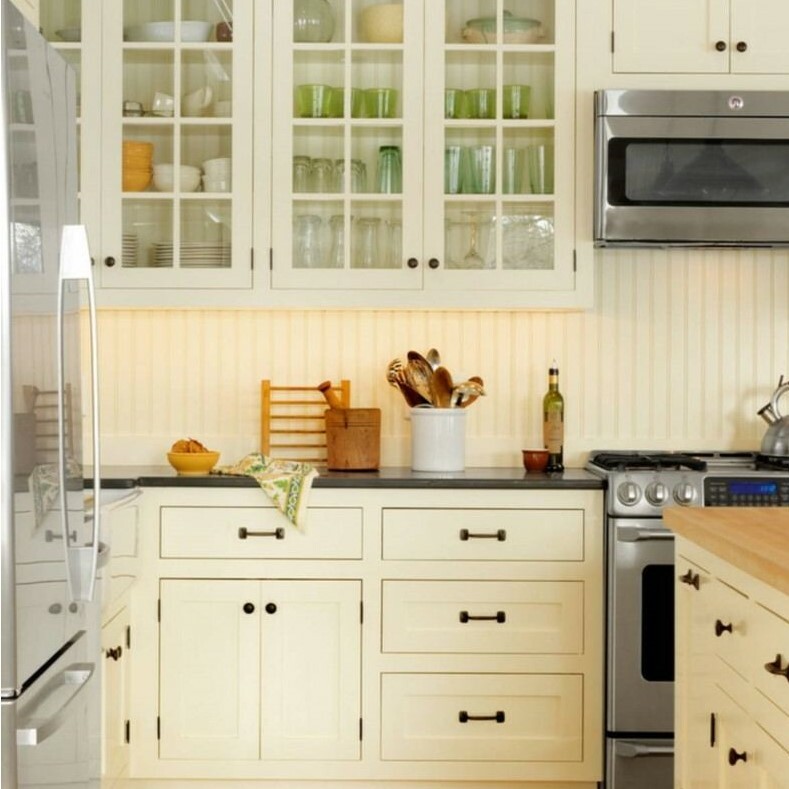 When you are looking for farmhouse kitchen color ideas choose cream or white for your cabinets. This color will contrast very well with wooden details in the room and neutralize the dark elements. Find the countertops thick enough that it goes with a butcher block. This gives the natural feel and is very functional. Mason Jars are the great field for decoration the space in old farmhouse kitchen designs. The not only decorate but also organize. Few stools are needed to be on the kitchen. 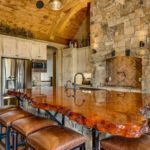 They are necessary near the breakfast bar and kitchen island as well. Apron rack is another original way of using rustic farmhouse kitchen designs. Sure, then you need to add a few amazing and pretty aprons to complete the design. 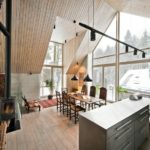 Wooden walls fit for large kitchens with enough free space to create such an accent. If you have already this wall, then paint it cream to keep the texture but make the room open. Pot racks are needed to hang some pots and pans above the stove to display them. If you plan to add more color to your kitchen then think about green. 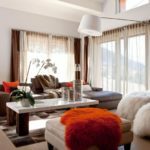 This tone will bring a life and energy to the space while keeping the style. Choose freed pieces of furniture and then complete them together. For instance, the free-standing buffet can well personalize your kitchen because it looks like a vintage one. Wooden utensils have a wonderful view on the countertop. Just learn how to clean them! White dishes are better for farmhouse style than colored ones. Or choose creams. A hutch in the free corner is a nice way to bring a vintage touch to your kitchen. Place there your cream dishes and enjoy the view!